L-8 Fixed Inductor - Max-Gain Systems, Inc.
98 microhenry fixed inductor, Dale part # 2497655-4. 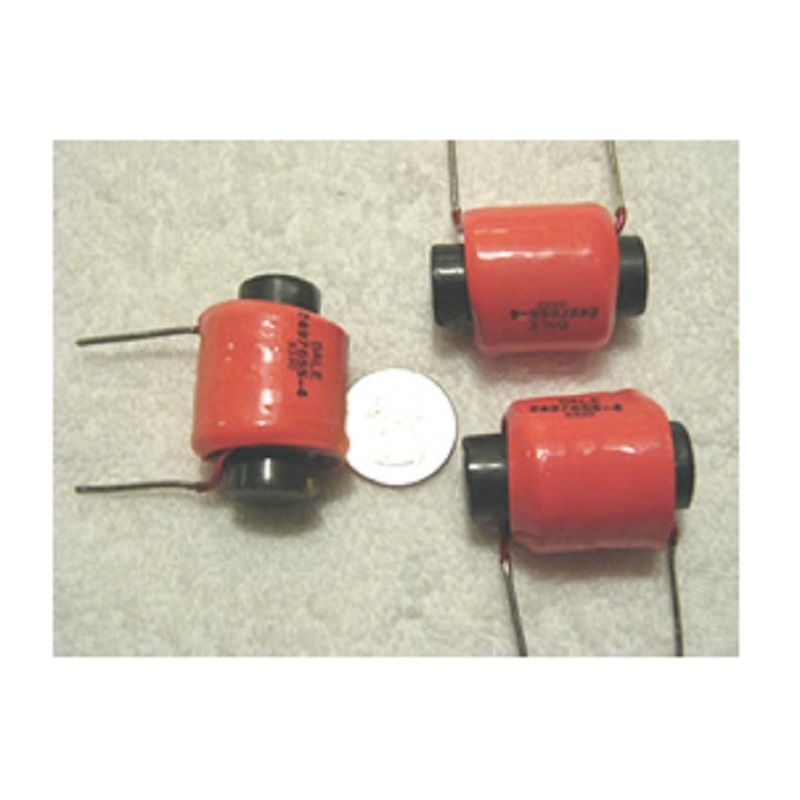 These fixed inductors are made with approximately 16 gauge enameled copper wire, wound over a core of ferrite or powdered iron, then held in place with an over-wrap of heat shrink (orange color). They measure a very consistent 98 microhenries, and should be good for about 10 amps continuous (estimated).